Home › Media Coverage › BBC › With Deadline Looming, Is Nuke Agreement A Done Deal? Amid enduring obstacles, the nuclear talks between the P5+1 are hurtling towards their zenith – a final-status agreement that will curb the Islamic republic’s (ostensibly peaceful) nuclear program in exchange for much-needed sanctions relief. So what’s “the deal with the deal” now, to paraphrase Foreign Policy? Well, first of all, it looks like lots of question-marks still hover over the talks, even as they near completion (the deadline is impending – June 30, in fact). Will Russia make it or break it? Will the P5+1, and the US in particular, be able to avoid making concessions which, in the words of security experts, “fall short” of “the [Obama] administration’s own standard of a ‘good’ agreement” – in other words, is the deal tough enough? Should the deal be stopped, or is it better than war? Is Iran’s Islamic leadership “rational”? Does its Supreme Leader intend to throw a wrench into the talks, and could he possibly have already done so? While the Western press has been hard at work contemplating these crucial questions and spurring the public debate surrounding them, it’s also been devoting ample (and mostly uncritical) coverage to those who have begun to view the agreement (and the lifting of sanctions) as a done deal, despite the significant challenges that remain. From a “symbolic” visit by a group of senior US university representatives, to Big Oil “getting cozy” with Iran (on Tehran’s invitation, naturally), to Iranian President Hassan Rouhani expecting sanctions relief in a matter of two months, there’s no shortage of bodies and individuals who are seemingly oblivious to – or eager, for various reasons, to disregard – both the issues that necessitated the sanctions in the first place, and the serious obstacles still standing between the deal and the finish line. 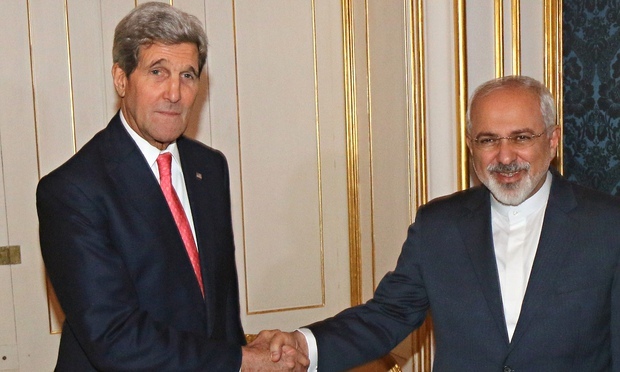 The nuclear agreement isn’t a done deal – yet.